Is there a motive for the murder of pioneering cancer researchers working on a possible universal cancer cure? Of course there is... it's the most common motive in the world: MONEY. A universal cancer cure would destroy the profitability of the highly lucrative cancer industry and collapse the American Cancer Society, hospitals, oncology clinics and pharmaceutical companies that depend on chemotherapy revenues to stay profitable. Key to their profitability is the inescapable fact that conventional cancer treatments simply don't work most of the time, creating a reliable profit stream of repeat business from patients who are never cured (by design). Click here to search for "cancer false diagnosis" at GoodGopher.com, the search engine for truth seekers. Yet another doctor was just found murdered inside his home here on the East Coast of Florida. This makes six doctors to be found dead in the last month just from this region of the country alone. Four out of the six were found dead here in Florida. We lost the holistic Dr. Teresa Sievers, MD, who was found murdered in her Florida home just weeks ago. We've also lost the alternative Dr. Jeff Bradstreet, MD, who was found in a river with a gunshot to his chest. He'd recently moved to Georgia from Florida. We've also lost the Osteopath. Dr. Riley, who was found in Georgia at her home; just a few hours from the Florida border. She was found with a gunshot wound to her head. Now we've lost Dr. Schwartz MD, who was found murdered in his home, on Sunday, July 19th, 2015. This was four weeks to the day after the death of the first physician: (Dr. Bradstreet MD) who I broke the story on a month ago. His family is still seeking answers as to what happened to him and they're some of the kindest people I know. The latest MD, Dr. Schwartz, in the picture above, lived just north of the fit, healthy, holistic Dr. Hedendal; who was the second doctor to be found dead this past Father's Day, in Boca Raton. This was the same day that Dr. Holt died at the age of 33. Both were fathers; and again, both men died here in Florida on June 21st, 2015. After about 16-22 administrations (approximately 3.5-5 months) of GcMAF, these patients had insignificantly low serum enzyme levels equivalent to healthy control enzyme levels, ranging from 0.38 to 0.63 nmole/min/mg protein, indicating eradication of the tumors. This therapeutic procedure resulted in no recurrence for more than 4 years. In other words, the administration of GcMAF eradicated tumors and left patients cancer-free for 4+ years with no additional treatment! UK govt. admission that GcMAF was on track to being commercialized ..., so they had to confiscate it! More than 10,000 vials were seized at this site and production of this unlicensed medicine has now ceased. These products were sold through various European websites and UK patients may have bought it from one of these websites. We are working with colleagues in other countries to alert them to the potential risks. Our investigations are ongoing and we have received no reports to date of side effects caused by this product. GcMAF (Gc Protein derived Macrophage Activating Factor) - Gc MAF treatment is a highly effective macrophage activating therapy, used to stimulate the immune system and activate macrophages so that they can destroy cancer cells and other abnormal cells in the body. That same site describes Oral GcMAF as follows: "Oral GcMAF is a form of GcMAF produced from bovine colostrum by Saisei Mirai which was developed in collaboration with Tokushima University." Do you see yet why the medical establishment must SUPPRESS GcMAF and destroy all knowledge of its clinical applications? This one substance holds the potential to render numerous vaccines and pharmaceuticals utterly obsolete. Researchers and practitioners have demonstrated that GcMAF can reverse diseases that attack the immune system such as: chronic inflammation, bacterial and viral infections, chronic herpes, chronic acne, Lyme disease, fibromyalgia osteoporosis, Hodgkin's, Lupus, MS, Parkinson's and remarkably – autism. Back in 1993, Nobuto Yamamoto, then working at Temple University School of Medicine in Philadelphia, PA, USA, first described a remarkable molecule. His paper reported the conversion of vitamin D3 binding protein (DBP, known in humans as Gc) into a potent macrophage-activating factor (MAF), known as Gc-MAF. Macrophages are a key part of the human immune system with two roles: to engulf and destroy pathogens and cellular debris, and to recruit other immune cells to respond to the pathogen. Gc-MAF hasn't had the benefit of a single patent owner – as a natural molecule, it cannot be patented without being modified – with the will and resources to push it under the noses of the public and health authorities. Dr Yamamoto has run small human trials in breast, prostate and colorectal cancers, with promising results. David Noakes might just be the person to bring Gc-MAF into the mainstream. He's the CEO of Immuno Biotech Ltd. and spokesperson for First Immune Gc-MAF, a project he describes as, "PhD and BSc biochemists and biomedical scientists... with external doctors, oncologists and scientists who kindly provide advice, committed to bringing some of the increasing number of published but relatively unused medical cures to as many people as we can." At the moment, Noakes and his colleagues are supplying Gc-MAF to 30 countries where it is legal, via a network of "around 300" doctors. Their Gc-MAF is made to extremely high standards, and is being used in ongoing clinical research by Noakes' collaborators and others. Their ultimate goal is to, "Build the case that GcMAF is effective for various illnesses, which will help to make it available to the public". Bad law kills, and Britain has the worst medical laws in Europe. The 1939 Cancer Act makes it illegal to discuss the possibility cancer can be cured, which is partly why 160,000 people die unnecessarily of cancer in Britain every year. Science and treatments are decades ahead of where the medical industry is today. The MHRA's job is to get life saving treatments like GcMAF out to people as quickly as possible. Instead they block them to protect billion dollar Big Pharma monopolies, who also fund the MHRA. Over a hundred thousand lives could be saved every year if the 1939 Cancer Act were repealed, and the MHRA were closed down. There are 142 eminent scientists who have published GcMAF research papers on the US National Library of Medicine alone. Your GcMAF empowers your body to cure itself. In a healthy person your own GcMAF has 11 actions discovered so far, including two on cells, three excellent effects on the brain, and 6 on cancer. Amongst these it acts as a "director" of your immune system. But viruses and malignant cells like cancer send out an enzyme called Nagalase that prevents production of your GcMAF: that stops its 11 beneficial effects, and neutralises your immune system. So diseases become chronic, and cancer cells grow unchecked. Minutes after a receiving a dose, 10 of the body's actions restart. In three weeks of two GcMAF 0.25ml doses a week, your immune system is rebuilt to above normal strength. You need two doses a week for typically 24 weeks for many diseases and early cancers, up to seven one ml doses a week and a year for stage 4 cancers. Your body then takes the disease down without side effects, and successfully in 80% of cases -depending upon how well you follow the protocol under "Treatment Protocol" on this website. It is a human protein. One week's GcMAF looks like a small raindrop. If properly produced it is perfectly sterile, and a most ethical course for doctors. GcMAF is therefore a replacement therapy for those who can't make their own. Taking GcMAF replaces the missing part of the immune system, and also acts as the body's own internal medicine. The GcMAF Conference 2013 showed GcMAF is a far more powerful molecule than thought, both in terms of the science, and doctors' results. In stage 4 cancer, some doctors who use the full protocol, listed on "Treatment Strategies," are saving every patient (if they have not had chemotherapy.) Success can be achieved with all tumour cancers including breast, lung, prostate, pancreatic and melanoma. GcMAF can eradicate chronic inflammation and viral infections. It is better than antibiotics in many areas, and 25% successful with Autism, 50% or more with Chronic Herpes, Chronic Acne, Chronic cirrhosis of the liver, Chronic kidney disease, Chronic depression, Colitis, Crohn's, Fibromyalgia, Hepatitis, Herpes, LMBBS, ME/CFS, Osteoporosis, Periodontal disease, Psoriasis and various types of Immune dysfunction including allergies. Research shows GcMAF can halt deterioration in Parkinsons, multiple sclerosis (MS), dementia and ALS, and in its role of immune system regulator, can reverse diseases that attack the immune system like Lupus and Arthritis. And is effective with wound healing. Its successful with tumour cancers, and some others. See the 31 research papers published, particularly Brescia, and the 60 published by others listed under "The science". 80% of terminal stage four tumour cancers cases can be saved (40% if they've had chemo), but usually when they are closely monitored, which is why residential Treatment Centres are being run in Switzerland. If they have three months to live and have not had chemo, almost no one needs to be lost. Our trials are quite different: many people are over 50, some over 80, with advanced or terminal cancers, with significant tumour mass. Most come to us when their doctors tell them they can do no more. How long should you take GcMAF for? Late stage cancer, if you follow "Treatment Protocol" again has 80% responders, but it takes a year to 18 months to become cancer free. Remember everyone responds differently. We can't say how you will respond. We have probably proved GcMAF can work for people up to age 90, and can destroy large tumour mass. See "Participants experiences". 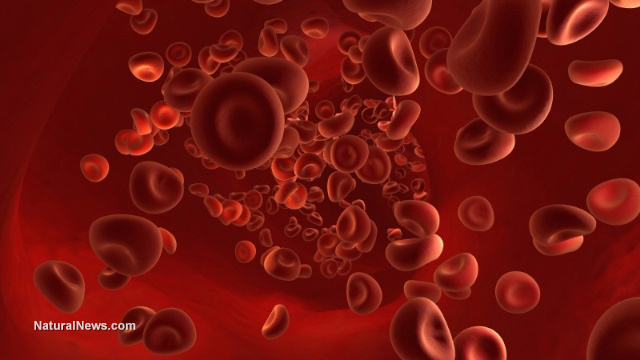 If you have your blood taken for monocyte counts, relevant markers and vitamin D levels, and again for a nagalase test at the beginning, you should see on your next test after three weeks that your immune system is back to full strength, and after 8 weeks significantly falling nagalase will indicate the disease is losing its grip. Don't stop the GcMAF until your nagalase gets below 0.65 nmol/min/mg, when it loses the ability to prevent your body producing your own GcMAF, and then you no longer need ours. Even better, get scans. Autism children can improve at five weeks with substantial improvements at 8 weeks. See "Participants experiences." But everyone is different. The beauty of using your own immune system to attack disease or cancer is that it remembers how to defeat it for the rest of your life: it doesn't come back. And unlike chemotherapy, the side effects are trivial. We have GcMAF available for preclinical trials. See "Buy GcMAF". You must read at least all of "Buy GcMAF" and "Treatment strategies" on the left if you want to take this further. And you must be prepared to give us feedback. first heard about GcMAF almost a year ago. At the same time, I had first learned about "nagalase", a blood test that is used to in part determine whether or not one might be a candidate for GcMAF therapy. Nagalase is an enzyme that prevents Vitamin D receptors (VDR) from being activated on the surface of the macrophage. As a result, macrophages are not "activated" and our immune systems are not able to properly respond to invaders. - GcMAF has reportedly been tested more for safety, purity, etc. than other human blood products. - Macrophages are cultured, destroyed, and the GcMAF receptors are purified. - Treatment is via injection 1x/week for 8-20 weeks. Dose is titrated initially to avoid exacerbation or Herx responses as much as possible. - A commonly used dose is .25ml once weekly (a 2.2 ml vial should last 8 injections). - The primary test used in looking at whether or not GcMAF may be a reasonable intervention is nagalase. - I personally would NEVER consider this option without having a baseline nagalase test. Normal is < 0.95. Mine was 2.9. The practitioner I worked with suggested that 2.9 was in the range of someone with HIV or cancer in terms of the impact on the immune system. I'd like to hear from others in the Lyme community as you get test results as well to see if there is a pattern of elevated nagalase in those with Lyme disease. Whether or not Lyme itself has anything to do with nagalase elevation is something I have not been able to find anything on. We certainly all have underlying viral co-factors that are likely in play as well, but I suspect that Borrelia may also play a role in nagalase elevation. - In healthy college students, a nagalase 0.4 is not uncommon (the lower the better). - At 2.9, my practitioner was surprised that I did not have more cognitive deficits such as memory loss and other cognitive issues. - It has been suggested that ongoing antimicrobial therapy without a working immune system is like leaving the house with the door wide open inviting burglars in. By using GcMAF to activate macrophages, nagalase drops, and one may regain a functional immune system. The door is then closed to further invaders and we may no longer serve as a microbe hotel. - Maintenance therapy should not be needed once the immune system is once again properly functioning. - Activated macrophages only remain active for 7 days so any negative responses are generally short-lived. That said, some people do have strong inflammatory responses that are not believed to be typical die-off reactions. - It has been indicated that in some cases, other medications may be needed in order to manage the inflammatory response. This is another reason that one needs to be working closely with a knowledgeable practitioner before considering GcMAF in my opinion. In the CFS and GcMAF world, this more severe form of a die-off reaction is called IRIS. - VDR genetics do not seem to play a role in predicting response as earlier thought according to one practitioner that I have spoken with. That said, Vitamin D levels do correlate with the positive response rate of GcMAF. Thus, Vitamin D supplementation may be required in order to optimize outcome. - Other than die-off reactions or activation of symptoms (inflammation), no other side effects are generally expected. - Nagalase should be monitored every 1-2 months while on treatment to determine the required duration of the therapy. Target nagalase after treatment would be 0.4 to 0.6. - Elevated nagalase has a profound detrimental effect on the immune system. Elevated nagalase is often presumed to be related to microbes of viral origin or cancer. Viruses that are nagalase producers open the door to chronic infections. - Hemagglutinin contains nagalase and is also found in flagella of some bacteria so it could also be the case that some bacteria may produce nagalase. - Parents with ASD children also often have elevated nagalase. - A practitioner I spoke with likened Lyme disease to a "peat moss fire" burning below the surface. Activating macrophages should help to deal with the fire. - GcMAF should be helpful in dealing with other infections that are not of viral origin; for example, Borrelia, Bartonella, and other infections commonly associated with Tick-Borne Infections (TBIs). GcMAF is active against many cancers and many different kinds of microbes. - Neopterin is another test that is sometimes used as an indicator of immune suppression. As macrophages become activated, neopterin may rise and later fall. If one is in the normal range for neopterin and has an immune-related illness, this could be an indication that the immune system is suppressed and not responding appropriately. - People with autoimmune conditions can generally use GcMAF. However, GcMAF may be contraindicated in people with Multiple Sclerosis. - Reduction in nagalase is generally seen early in the course of treatment; within the first 3-6 weeks. In some studies, nagalase dropped by over 50% in less than six weeks. - Cancer patients may initially feel as bad on GcMAF as they do on chemotherapy, but often feel much better after the first month. - Anti-inflammatories may limited the effect of GcMAF. - Enzymes and biofilm-reducing supplements may have a negative impact on GcMAF therapy and may be best avoided. It is still too early to know what the impact may be, but one practitioner I spoke with feels that it is best to avoid these. - One should not be on any immune-suppressing agents while on GcMAF as the immune system must be partially functional in order to respond appropriately to the treatment. - A common pattern is to see elevated lymphocytes, high nagalase, and low NK cells. Once nagalase drops, it may be the case that NK cell function could be positively impacted. CD57 is a type of NK cell. It is too early to know if this proves to be true, but it is one of the things I'm quite interested in. Watch this video presentation on GcMAF therapy to learn more. Read about GcMAF from Alternative-Health-Group.org. Read The GcMAF Book at this link. Researchers testing GcMAF stated it, "works 100% of the time to eradicate cancer completely, and cancer does not recur even years later." (This was stated based on the tested group of patients -nothing works 100% for everyone) The weekly injection GcMAF, a harmless glyco-protein activates the human immune system which then can kill the growing cancer. Studies among breast cancer and colon cancer patients produced complete remissions lasting 4 and 7 years respectively. This glyco-protein 'cure' is totally without side effect but currently goes unused and completely ignored by cancer doctors. Why? Maybe it is because there is little money to be made in selling it. For less than $2000USD a cancer patient can obtain an adequate amount of GcMAC. Click here to search for "GcMAF" on GoodGopher.com, the new search engine for truth seekers. Explore more on Dr. Bradstreet by searching on GoodGopher.com, the search engine for truth seekers.